Welcome to the ASAP photocopying service. 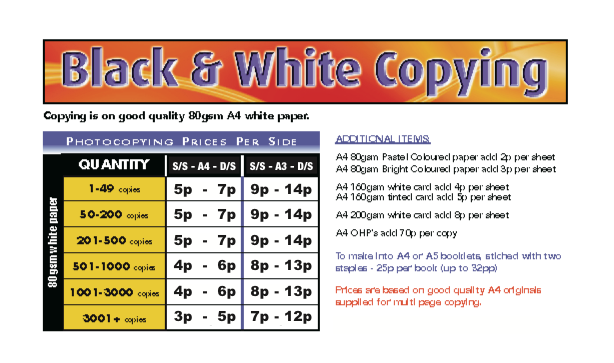 We offer a "walk-in" service for small quantities or will provide you with copies to order. 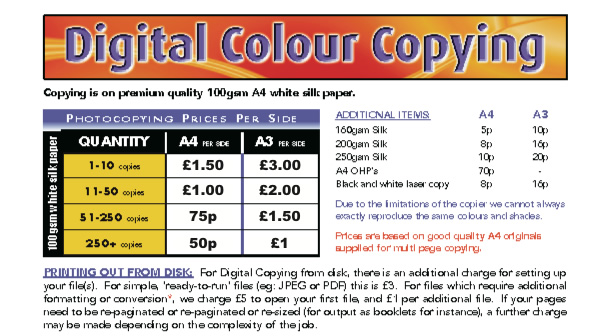 If you require over 50 copies please call us first to ensure we can do this immediately for you, either while you wait, or when to pop back and collect.